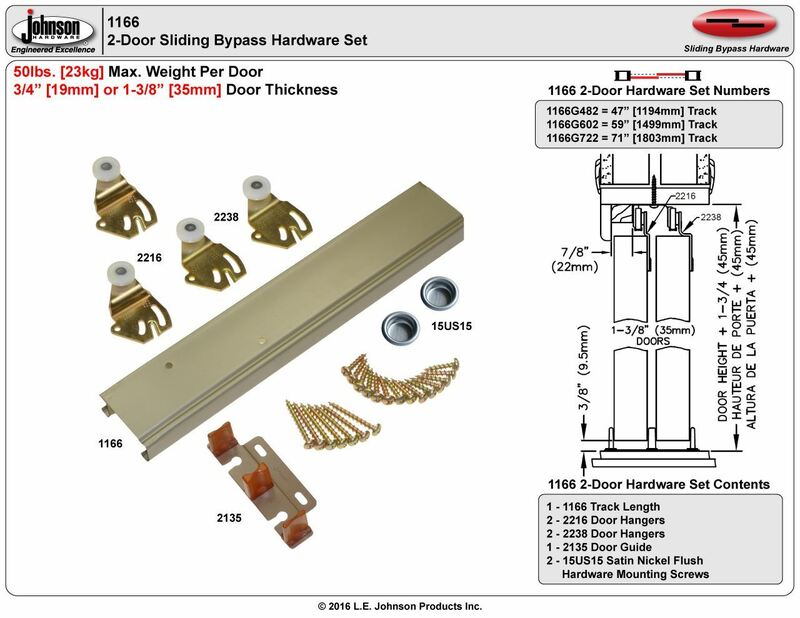 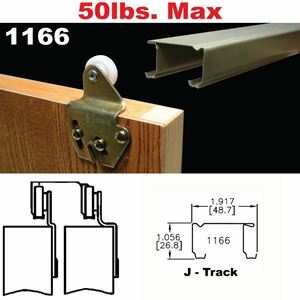 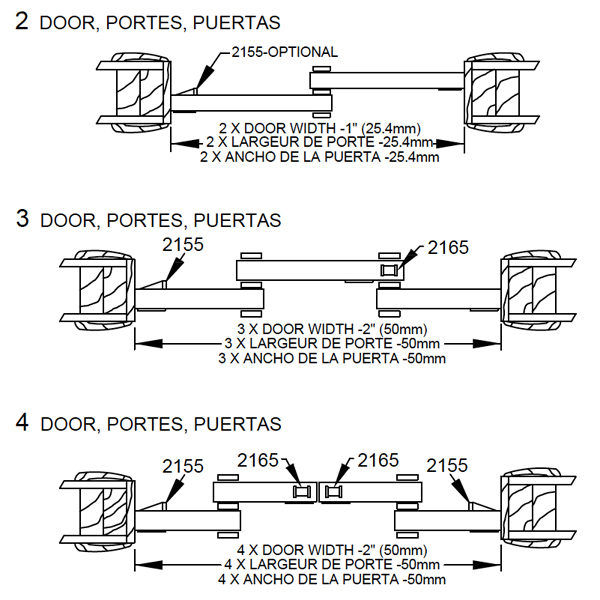 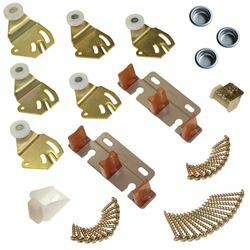 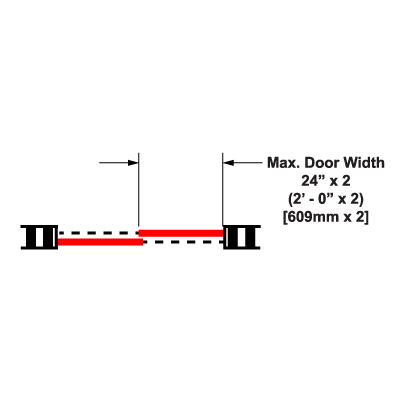 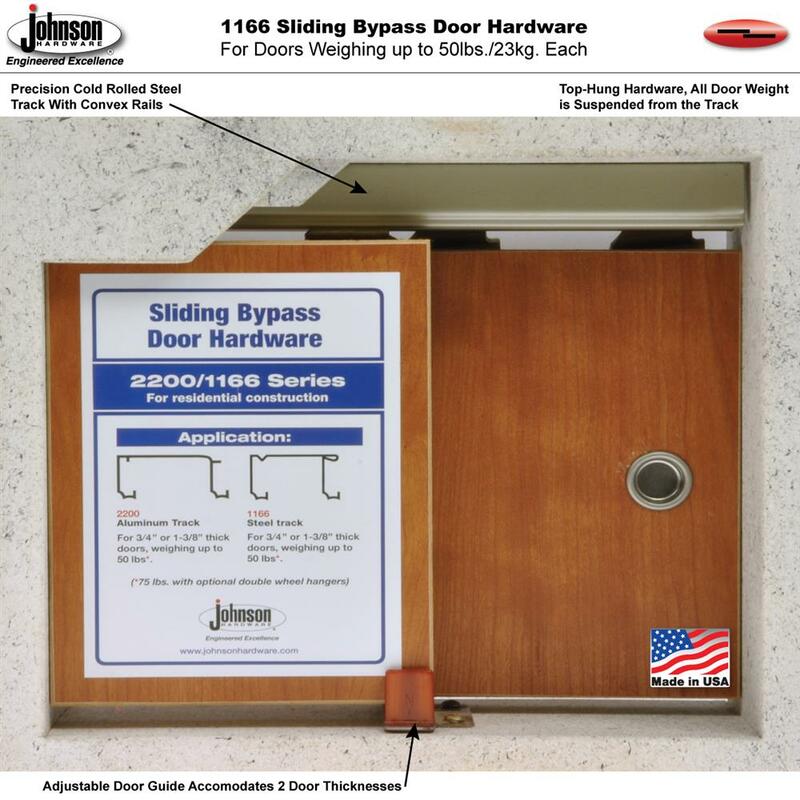 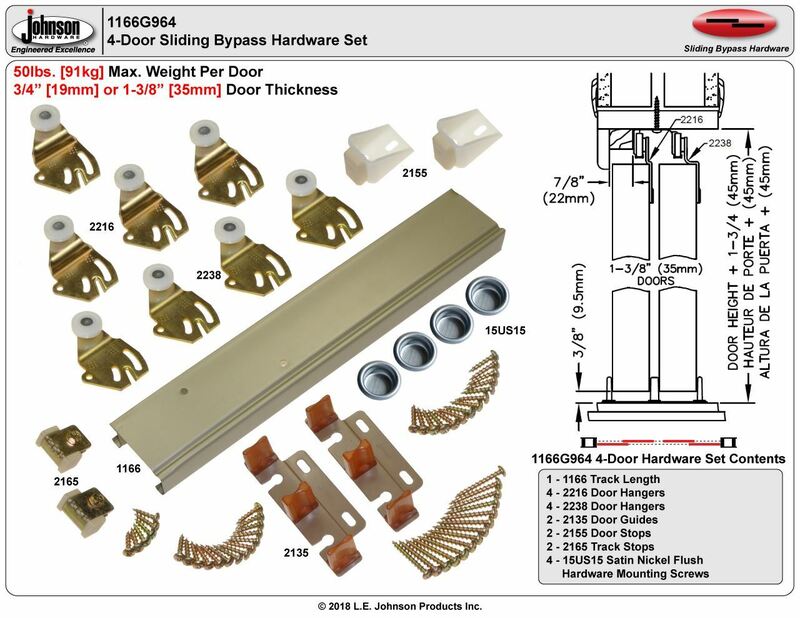 A general purpose residential grade sliding by-pass hardware system featuring a rolled steel track. 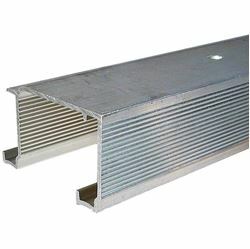 Convex track rails provide one point contact between wheel and track. 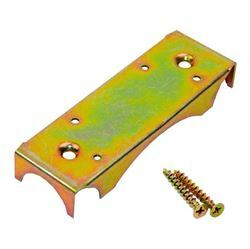 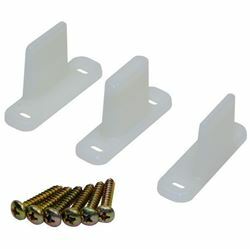 Reversible hangers will accept either 3/4" [19mm] or 1-3/8" 35mm] doors. 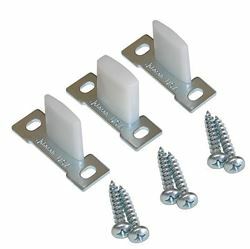 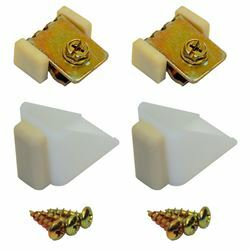 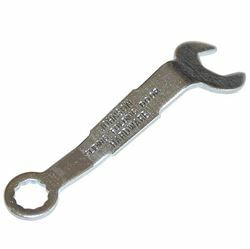 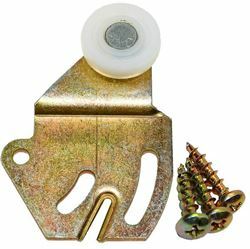 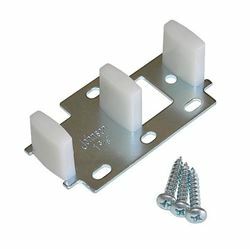 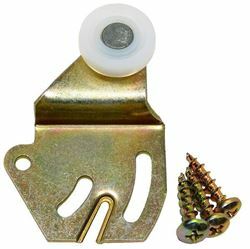 Hangers adjust without removing or relocating screws. 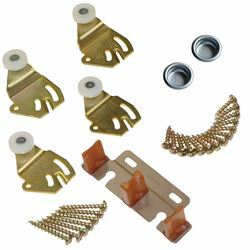 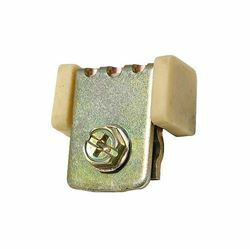 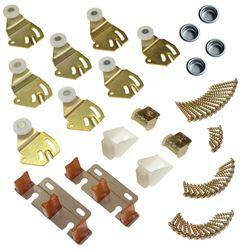 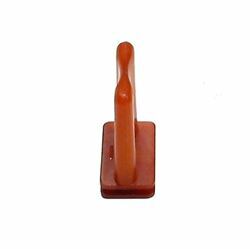 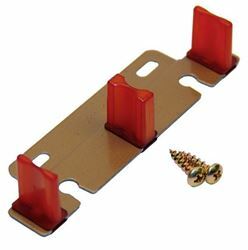 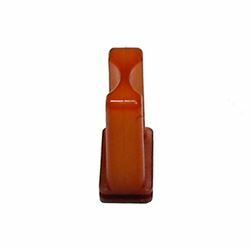 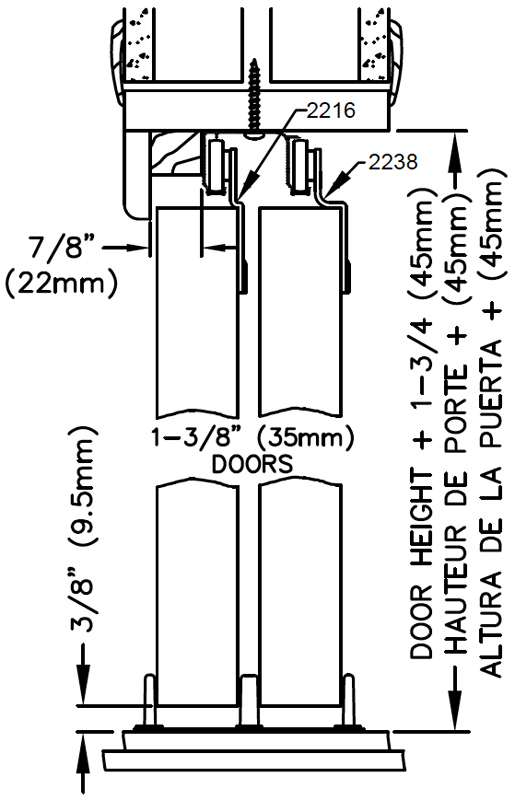 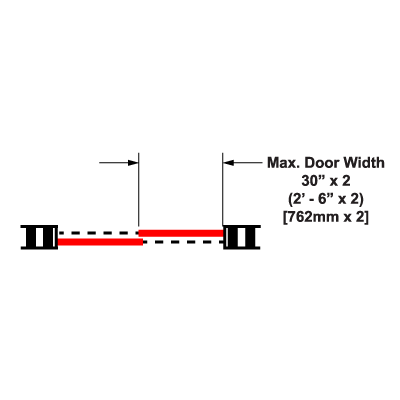 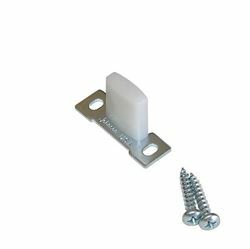 Door guide adjusts laterally for quick plumbing. 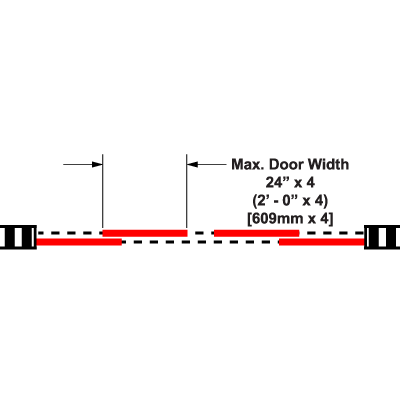 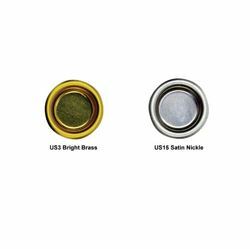 The 1166 is compatible with 3/4" [19mm] or 1-3/8" [35mm] thick doors only. 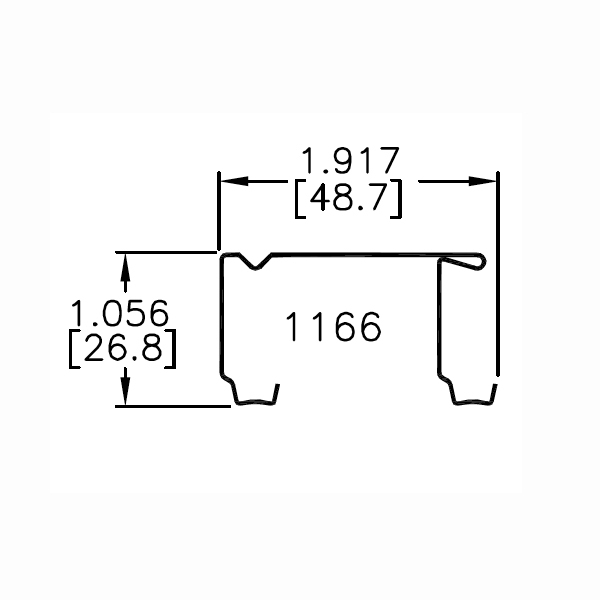 Custom 1166 configurations possible by ordering 1166 components by the piece.